Travelers, debuting on Canada’s Showcase on October 17, is what showrunner Brad Wright (Stargate series) calls a “10 out of 10 Canadian show.” This sci-fi series follows a set of individuals from the future sent back to the present to “save humanity from a terrible future.” It features an all-Canadian main cast, led by Eric McCormack, formerly of Will & Grace and Perception, and crew (the sole series writer/director who was not Canadian was pilot director Nick Hurran). It’s as all-Canadian as they come, and it began its development during the Canadian Film Centre (CFC)’s 2014 Prime Time TV Program. Wright was “actively looking for new, young Canadian talent” to work on Travelers, then in the pilot phase, when he was approached to be the Bell Media Prime Time TV Program’s new Executive Producer in Residence. Given CFC’s mission – to invest in and inspire the next generation of Canadian creators – it could not have been a more perfect pairing. “It was serendipity that I got a phone call from [CFC Chief Programs Officer] Kathryn Emslie,” Wright says. 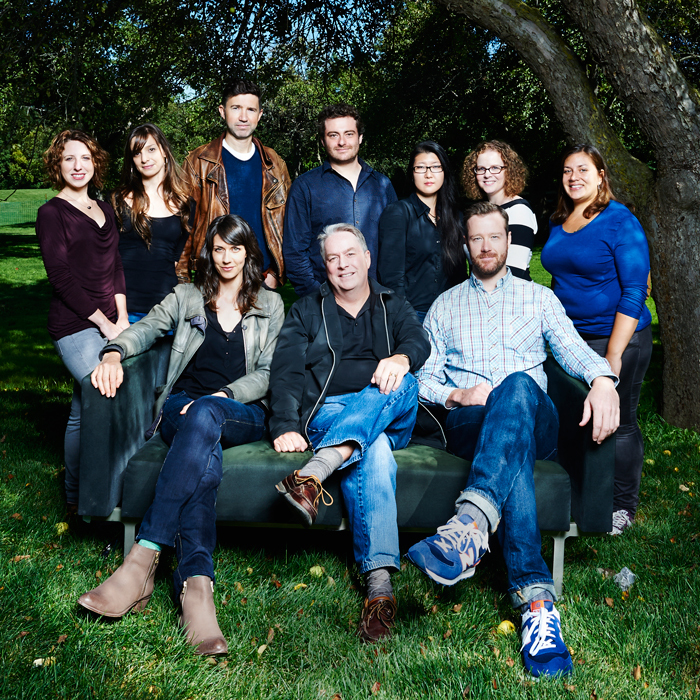 The Prime Time TV Program pairs burgeoning Canadian writers with an established Canadian showrunner through a story room and series development process. Current residents, for example, are working with CFC alumna and award-winning creator Karen Walton, while the 2008 residents worked with Graeme Manson, also a CFC alumnus, on the development of Emmy-winning series Orphan Black. By committing to be the new Executive Producer in Residence, Wright got to help with the program’s selection process. Soon he had nine great writers: Tara Armstrong, Mika Collins, Seth Cooperman, Rebecca Hales, Gillian Muller, Ashley Park, Pat Smith, Amanda Smith-Kolic and Jason Whiting. The team worked for ten weeks and developed nine episodes, eight of which ended up in Season 1. Once the program ended, Wright brought three of the writers – Ashley Park, Pat Smith and Jason Whiting – to Vancouver to polish the previous scripts and write the final three. Ultimately, all twelve Season 1 episodes can be credited to a Canadian writer or Canadian writers. What’s more, the majority of these writers will count this series as their first major TV credit – a first step towards a full-fledged career in the industry. Meanwhile, Ashley Park recently just started working in her second-ever writers’ room, joining the team behind genre series, Killjoys – also created by a CFC Prime Time TV Program alumna, Michelle Lovretta. Jason Whiting, a former playwright and arts journalist, is co-penning a sci-fi comedy with one of Bitten’s writers. He says he “wouldn’t be where [he is] today” without the Prime Time TV Program. Whiting, Park and Smith are not the only 2014 Prime Time TV Program alumni who found work in Canadian TV after leaving the CFC. Wright wanted their former peer, Tara Armstrong, to join the Travelers team, but she “got her own show.” Mary Kills People, created by Armstrong, is set to debut on Global midseason. This new series is executive produced by CFC alumna and award-winning writer Tassie Cameron, directed by fellow alumna and award winner Holly Dale, and features writing by 2013 Prime Time TV Program alumna Marsha Greene. One of the best ways to keep the Canadian screen-based entertainment industry Canadian is, as Wright notes, to “create an environment in which Canadians who want to do well and succeed at a high level in this business can stay.” Travelers, with its homegrown history (and hopefully future), has managed to not only do that, but also create an environment where Canadians who may have left for gigs South, like Toronto-born actor McCormack, are welcome and excited to come back. McCormack, who has found success in the U.S. TV market, was immediately attracted to Travelers because it felt “smart”, “grown up” and in line with other recent sci-fi successes. (“If you like Orphan Black,” he says, “you’re going to love this show!”) He too sees supporting local talent as a priority, especially as more and more American creators come to town and bring outside actors, writers, producers and other crew members with them. 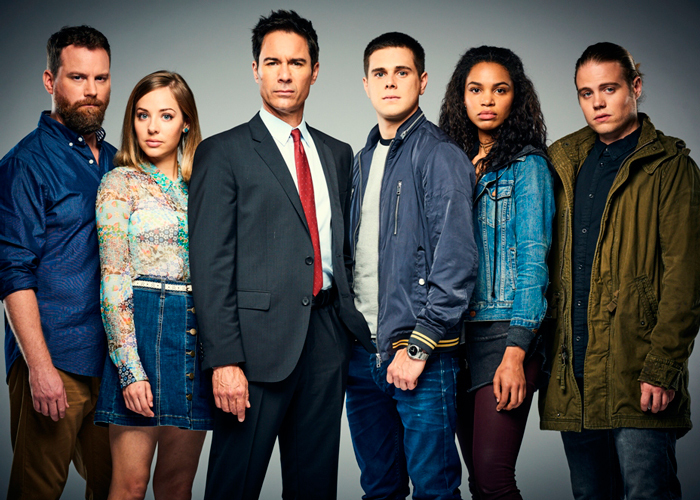 Travelers debuts on Showcase Monday, October 17 at 9 p.m. E.T. The series lands on Netflix everywhere else later this year. "I can't recall reading as many solid scripts, one after the other. There is some serious talent in this group."